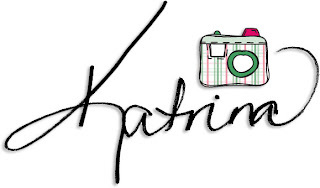 Nikki Sivils: It's Tuesday and It's Katrina! 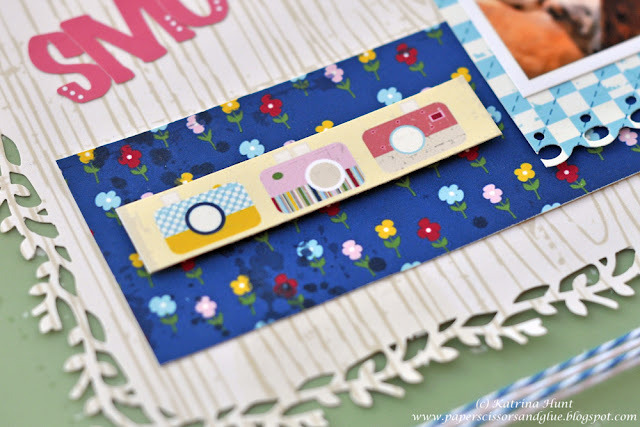 It is my turn today on the blog and I have a variety of projects to share with you today! All of them have multiple pictures on a one page layout. I have a special spot for Messages, since it was the first collection from Winter CHA that I worked with. And it was perfect for these pictures I had taken in the fall. I used my Silhouette to cut that fun, retro tree out! And another Messages layout of Ella! She loves to hang over the couch! But the Exit Here collection is my favorite of this past release! I have to make myself NOT grab for it when I go to work on projects! I loved that I captured this picture, it's all about the timing! At the bottom, this area just need a little something, so I trimmed one of the cut-ups down and just used the cameras! That is it from me today. 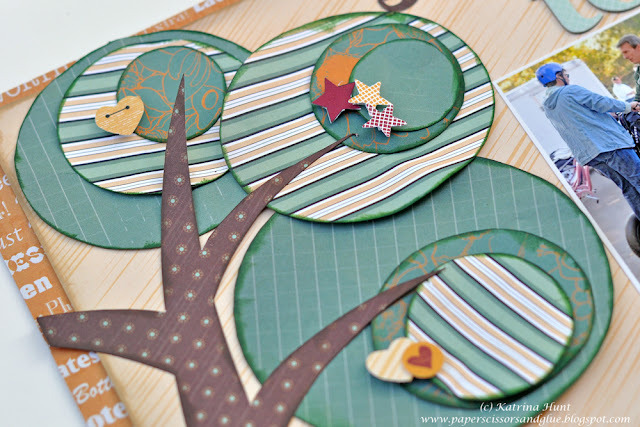 I hope you will come back tomorrow, Stacy Rodriguez will be up here on the blog and she always has some fun stuff! And if you feel like visiting my blog, you can find me here! These are awesome Katrina!! LOVING that moose one!!! Toooooo cute!! Love the segway layout. You did a nice job on the tree - it is very cool. 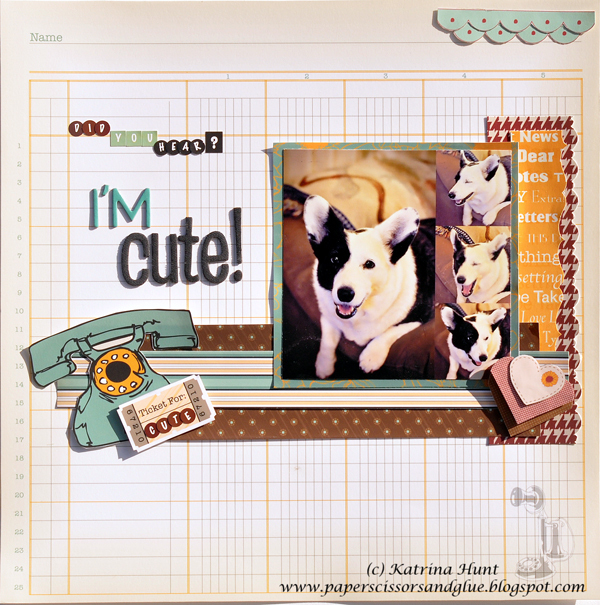 I think I may scraplift this layout...do you have journaling or more pics under your block of photos? 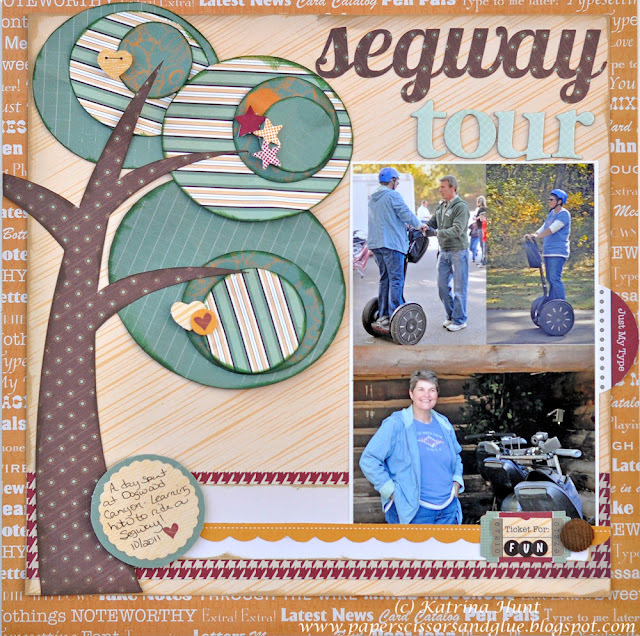 Great layouts, I especially LOVE the tree on the Segway one! Love your pages, Katrina, & the tree is ADORABLE! Beautiful projects Katrina! Love all your pages especially the I'm cute and Segway tour layout. Oooohhh! these are all so awesome! Great job! oh yeah these are too cute! Love them as always!